There are only 973 available of the Signature Collection 6-Button Remote Control. Your selected quantity has been adjusted. Enjoy our Signature Candles from a distance. The remote features a convenient on | off switch, as well as a 4 or 8 hour timer feature, for our premium thick wax flameless candles. 1.5" x .3" x 3.5"
Does the remote battery need to be replaced every year? Does this remote work with item number LC003103? I need a replacement remote for my set of 8 slim drip pillar candles. 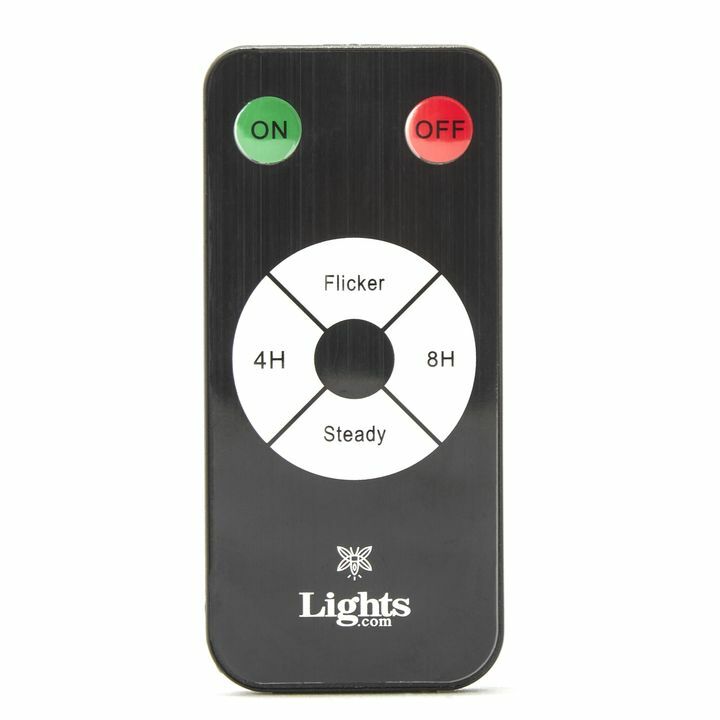 The Signature Collection 6-Button Remote Control is only compatible with the signature candles. If a replacement remote needs to be purchased, you may call customer service.